Hearing Aids Types, What's right for you? Updated November 4, 2016 – Hearing aid devices have improved a ton in the last few years. Just like everything else, ear hearing aid technology has improved greatly and of course gotten a lot smaller. A lot of confusion is out there when it comes to different types of hearing devices. One of the reasons for this is because is due to the fact the different people have varied levels of hearing loss. 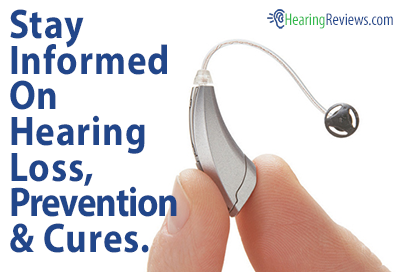 Every hearing aid device has different functions and helpful features that meet the specific needs of the individual. One of the advantages to digital hearing aids is that they can adapt to different environments depending on how the sound is changing in your immediate environment. When it comes to hearing devices here are two main types of hearing devices which include digital hearing aids and analogue hearing aids. Digital hearing aids take advantage of new digital technology, with most users reporting very good results. Digital hearing aids take the sound, convert it into bits, and make necessary changes before amplifying the signal so that you can hear it better. There are many companies that offer digital hearing aids. Some of the companies include Miracle Ear, Belton, Widex, Starkey, Phonak. All these companies offer hearing devices that can be programmed and tuned to your specifications and can automatically adjust in different environments. This is made possible by a micro computer inside the digital hearing aid. It can be adjusted by your hearing doctor so you get the best results possible. 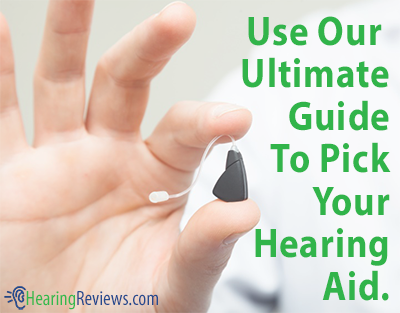 Check out our page on hearing aid reviews for more information on each brand. Hearing aids have been around a long time. The newer version of the ear hearing aid is of the digital form. Just as everthing else seems to be going digital so are hearing aids. The older style of hearing device uses Analogue technology. It seems like there hearing devices go by many names these days and including; “hearing amplifiers” “digital aids” “Digital Hearing Aids”, “BTE Hearing aids”. To help you hear better these older hearing devices basically amplify the sounds that you normally can’t hear through what amounts to a microphone. Next the signals “sounds” that the microphone just picked up are sent through the tubing in the hearing device and directly into the ear of the wearer. Like I said, this technology is a bit older but It has been improved in recent years to give a solid boost in hearing. These newer, more sophisticated analogue hearing aids can be programmed much like their digital cousins however the new digital hearing devices can be customized to a much higher level. If you are on a budget then the anlogue type of hearing device can be a great value and can improve your hearing greatly. Digital hearing aids are much more complicated to explain but I’ve spent some time explaining it in another post. Check out my post on Digital Hearing aids. For the hearing impaired, digital hearing aids, such as those sold by Miracle Ear, provide a life changing experience that improves every aspect of daily living. However this improvement comes at a hefty price. If you have the money to invest is hearing devices such as the ones sold by Miracle Ear or other major brands such as Rexton, Siemens or Beltone. Any of these major players provide digital hearing devices that improve your life by allowing you to hear things that have gone silient. If you have hearing loss than I don’t have to tell you how nice it is to have your hearing restored. Hearing Aids Prices can be shocking, people budgets are shrinking, especially with the current state of the economy and the ever dwindling social security pay checks. If you don’t have a lot of money to drop on a hearing device then all is not lost. There are even lower end, affordable models of digital hearing devices that can provide a lot of the functions and benefits of the more expensive hearing devices. If you are really under a budget then there are some As Seen On TV products out there such as TV Ears, Silver Sonic XL,Loud & Clear, Lee Majors Bionic Hearing Aid. These products are all under $100 dollars but these devices are not hearing aids. Less the cost a lot less, but don’t expect amazing results. Don’t think that inexpensive hearing aids are impossible to find. There are great deals out there but you have to be willing to do the research on hearing devices yourself. The world wide web is becoming a great resource for people to research different brands and styles of hearing devices and find prices that would be impossible to find buying direct from you doctor. I have been deaf for 36 years now and had a Cochlear Ear Implant in 1990. The difference this has made is astounding. Whilst a normal hearing aid does not benefit me whatsoever I fully undrstand what you are trying to impress with this article. Consequently I am going to endorse it wholeheartedly and wish you the best of luck. Anything that can help to improve your hearing and enhance the quality of your life has to be given full marks. Hearing aids have truly diminished in size and in weight, and that is wonderful. So, maybe the cost will also follow suit soon. Because of economies of scale we’re seeing more and more affordable digital hearing aids on the market than ever. In fact, it is becoming hard to find the older technology analog types. And the poster is correct: it is very possible to find a hearing aid that fits your budget without sacrificing quality. I am presently “trying” Audigy AGX9 behind the ear hearing aids. They are more comfortable and work much better than the analoge ITC aids I had since 2002. I cannot believe however, that in this age of technology they would cost $10,000 a pair. I have been on the web for hours tyring to find a comparison to Audigy and other brands. For some reason, Audigy is never included in the comparisons or pricing info. From what I have seen, the most expensive digital hearing aid is $6600 a pair. What am I missing? Can anyone out there enlighten me while I still have the opportunity to back out of this deal? We do not have any information on Audigy heairng aids. We will work on some information for you. Hang tight, it probably won’t be until Jan. I live in Honduras Central America.I have a six years old son who already lost 90% of his hearing on his right side ear. My biggest concern is cost.Do you know of a cheap brand or a place where I can get one for my son in Honduras. Thanks May the Lord Bless you. Most every professional around the world has access to the same levels and prices of products. You can buy cheaper aids, but you are getting cheaper quality. You might consider looking to the schools for the hearing impaired in your area. They often team up with non-profit organizations (like our friends at HHII) to provide hearing aids for the needy during a mission event. HHII (Hearing Healthcare International Institute) headquartered in Camas Washington, primarily provides help for children in Eastern Europe. The Starkey foundation has sponsored missions in Central America, but we are not aware of any current plans for missions in the near future. A “Google” search for HHII-CEU or Starkey Hearing Foundation or So The World May Hear, might turn up some missions planned for your region. These organizations range from very small to very large. The larger ones have far more resources and will have more missions planned. The smaller ones are “labors of love” of one or two people who sponsor all the work themselves (thus smaller outreach). Do I Need A Hearing Aid Implant?